You are here: Home / Tuesday Tunings / What Do You See? Listen as you read. This is a beautiful piano version by Norm Hastings. Having considered our initial responses to surveying the cross, we now look more closely. We have the powerful heart words of love and sorrow which set a context for our Tuning today and the rhetorical question which we will probe a bit in our Thoughts Thursday. So let’s take a closer look to our Savior hung on that wondrous cross. For years I have said that in order to experience the joy of Easter morning, it is imperative to consider the sorrow of Good Friday. In order to appreciate the victory of the Resurrection, we must contemplate the apparent defeat of Christ’s sacrificial death. I do believe our celebration of His triumph over sin, death and the grave are inextricably linked to our remembrance of His suffering. I know it is difficult to ponder the dark side of these realities, but it is worthwhile because of the implications. So we look at His head, hands, and feet. 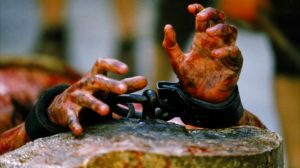 A rereading of the different gospel accounts juxtaposed with mental images from The Passion of the Christ reminded me of objections at its release that it too graphically depicted the torture aspect of the crucifixion. I can appreciate those objections, but I am remembering them against this backdrop. Those who yelled “Hosanna!” were some of the same ones yelling “Crucify him!” just days later. Why? Because they imagined a different kind of King than Jesus actually was. I wonder in our retelling and imagining the story if we have cleaned it up too much, and in so doing lost some of the ghastliness of Jesus’ last hours. Though the entirety of Isaiah 53 allows us to fill in some of the details of the Gospel accounts, as an example, consider this verse from the end of the preceding chapter. 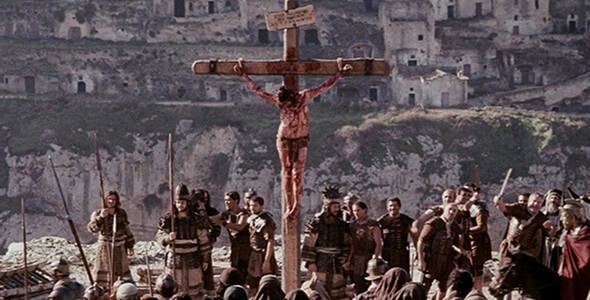 us to look at His sacrifice and see something we may have never seen before, or at least to a new extent. When you “see” or visualize His crucifixion does it resemble the above depiction by Isaiah? Have you sterilized His sacrifice and maybe lost at least a bit of the emotions of sorrow and love demonstrated? To see the sorrow and love requires me to look at His head, hands and feet, even though I might rather not do so. Will you take just a moment and ask the Holy Spirit to help you see the sacrifice of our Savior rightly? Though this stanza begins by telling us to “see”, then advises us to focus on head hands and feet, what we are supposed to see is sorrow and love. It is beautiful poetry, but may be more clearly rendered “See, sorrow and love flow mingled down from His head, His hands, His feet.” Though I have taken the time to challenge your mental imagery of these events, what I really hope to accomplish is the development of a clearer and more accurate understanding of how His going to the cross vividly demonstrates His sorrow over sin and His love for us. We will think about this a little more deeply in our Thursday Thoughts, The Richest Crown. For now, allow your heart to be stirred by these two considerations. Jesus taught the following truth then modeled it on the wondrous cross. His blood flowed down out of love. 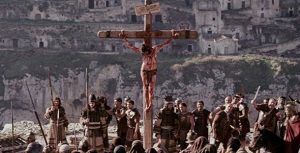 He asked the Father to forgive those crucifying Him because “they know not what they do”. (Luke 23:34) He died for those who do not even understand why, friends and foes alike. 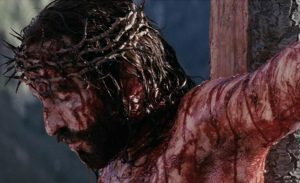 His blood flowed down out of sorrow as well. He had sorrow over our sin, our living for ourselves and our misunderstanding the events of our lives. One example of this was again on Palm Sunday when Jesus wept coming into Jerusalem, even as the crowds shouted His praise. 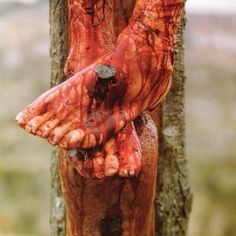 Luke 19:41 tells how he longed for us to know what was bringing peace, His sacrifice, but they could not see that any better than they could see the love and sorrow mingled in His blood shed just a few days later. We unfortunately are similar in our inability to see things clearly, whether on the cross, or against the backdrop of it. Whether His sorrow or love. Watts is pleading with us to see. As you go through this week remembering His Passion, ask Him to stir in you a new passion for Him, which more accurately reflects His for you. Jesus, I see Your head, Your hands, Your feet. Help me to see the way they demonstrate Your sorrow and love for me. Give me eyes to see the way these truths mingle together beautifully, even in the pain. In Jesus name. Amen. Like what you finding here? Fill out the form to the right to get an email with each fresh post and updates of new tools to help you be Resonant. Subscribers, please enjoy this video log! And everyone else the transcript below. 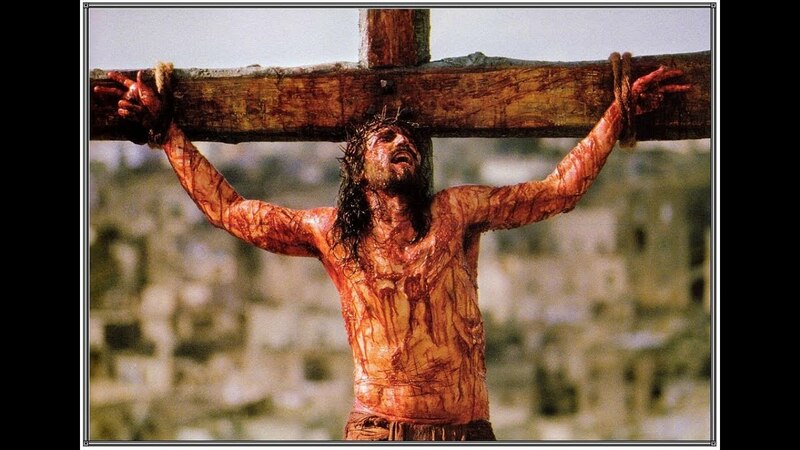 Christ became sin for us and allowed his body to be broken to pay the penalty for our sins. Ask God to help you see the sacrifice of His son with new eyes today. And He allowed His blood to be shed, portraying as never before or since a unique blending of sorrow for and love overcoming sin. Ask Jesus to lead you to a similar place of sorrow over your sin. The answer to the rhetorical question in these last two lines is an emphatic “no”! It is interesting to note the change in the sequence with love leading the way in this line. Thank Jesus that his love led the way to Calvary. His crown confirmed His willingness to become the suffering servant from Isaiah 53, wounded for our transgressions, crushed for our iniquities. Give praise to Jesus for His willingness to take the punishment for your sins. Thank you Lord and Savior Jesus. How can it be? Such love expressed at Calvary.